Strength training, weight training, cardio benefits, weight loss hints and much more at Gotta Sport. Welcome to Gotta Sport, your number one resource for strength training, a guide to losing weight, buying fitness equipment and more. I will try to update at least three times a week so you too can discover how to lose weight, gain muscle mass and lead a happy healthy life. Are you following the right diet plan? This is one concern that often plagues our minds while following a diet regime. However, you may not be following the right diet plan in some cases. 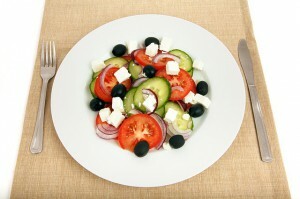 Your diet may not be healthy enough and may require a prompt makeover to ensure that you get back on track health wise. How can you identify whether your diet is healthy or requires a makeover? Here are some signs that firmly indicate that your diet needs a fast makeover. Your diet plan may help you lose a bit of weight all of a sudden and this might just bring about renewed determination with regard to following your diet plan. However, if your body has stopped responding to the diet, you may just be witnessing fluctuations in weight and the lost weight may sometimes come back. If you are not getting the desired results, your diet needs a prompt makeover. Fad dieting can help you lose loads of calories but they only return after a period of time. Frequent weight changes are a surefire indicator of the wrong diet plan being followed. If you end up cheating on your diet plan a little more than desired, your diet plan is not working for sure. An effective diet plan keeps you full and satisfied without recurring hunger pangs and cravings. Your diet plan should only aim at reducing or eliminating items that you can live without and moderate the rest. A diet is a lifestyle change and if you still have cravings and hunger pangs, you may be on the wrong track! Your diet plan should ideally give you increased energy and strength. If you are short on energy on a regular basis and feel quite weak, you should instantly change your diet plan. 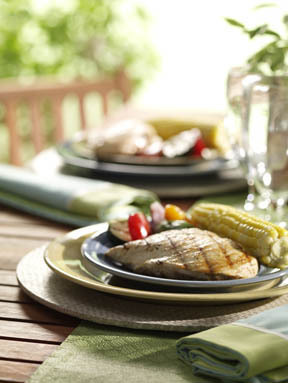 A balanced and healthy diet will always make you stronger and more energetic. If it is the other way round, be sure that your diet plan needs a rapid makeover. If you are skeptical about preparing balanced meals, you can make use of the recognized diet services. For instance, Nutrisystem excels in delivering balanced and portion controlled meals. You can also diet in a safe and healthy manner, as their meals are low fat, low glycemic, low sodium, low carb and low calorific. Perfectly following all the recommendations of the USDA will never be possible unless each and every meal portion is accurately measured to the last detail. This is not possible from a practical perspective. However, your diet plan should at least be in sync with these recommendations especially with regard to the multiple nutrients required by your body from each food group. Many diet plans thrive on cutting out essential food groups and this causes damages and problems in the future. Is tiredness your daily companion? If it is, this may be a sign that your diet plan may not be working. Crashes in overall energy lead to such tiredness and sluggishness. If fatigue overwhelms you all day, you may not be catching up on the right nutrition. You may be consuming the wrong foods at the wrong times. You may not be paying attention to spikes and changes in blood sugar levels and may not be consuming healthy snacks as well. These signs are a clear indicator of the fact that your diet requires a makeover! 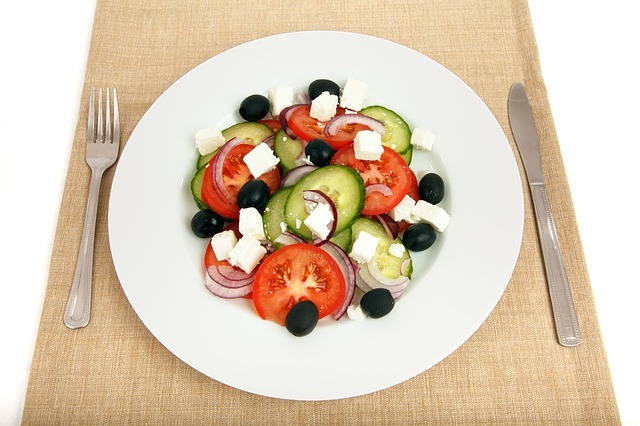 Jessica Robert passionately blogs about weight loss ideas and diet tips. Her blog displays helpful articles on easy dieting methods and weight loss ideas. Ok ok so you get the point: HIIT is very good! I’ve already discussed the many advantages of high interval intensity training, I’ve shown how to make a training program for HIIT… but now, I will discuss the other side of the medal: the disadvantages. The Harris Benedict equation is a calorie formula using the variables of height, weight, age, and gender to calculate basal metabolic rate (BMR). This is more accurate than calculating calorie needs based on total body weight alone. The only factor it omits is lean body mass and thus the ratio of muscle-to-fat a body has. How to perform high intensity interval training (HIIT)? 1. Warm up for a few minutes. 3. After these 20 seconds of hell, take a 1-minute break by walking slowly. 5. Continue this cycle until you’ve reached 6-8 sprints. 6. Cool down by jogging for a few minutes. After your first workout, you might feel really, really bad. Like you want to throw up, or just lie down on the road. Don’t worry, this will get better later on. Think about your first workout, I bet the day after it, you were stiff as hell too, right? I’ve just explained high intensity interval training via running, but this can also be done by swimming, rowing, an elliptical trainer, etc. As you can see, the number of sprints per training steadily goes up. Obviously, the more sprints, the harder it gets!Don’t forget to add a “deload” once in a while. For example, after week 5, which is the first week that you’ll be training 3 times a week, you could take a full week off. That’s right, no HIIT for a week, to let your body recuperate. Not too long ago, I wrote an article about high intensity interval training with a training program included. 1. If your physical condition is already OK, then you can start week 1 with 6 sprints. If your physical condition is darn good, then consider 7 or even 8 sprints! In week 10, you will then reach 10-11 sprints, which would be incredibly good! 2. If you’re an advanced athlete, you could also increase the intervals. For example, instead of sprinting for 20 seconds, you could try sprinting for 30 seconds! 3. And lastly, you could also add an incline hill or increase the resistance on your elliptical trainer / bicycle as an interval. As long as you give yourself for a full 100% during these intervals, things should be ok.
4. if you’re already into weight lifting, powerlifting or bodybuilding, then you might want to refrain yourself from doing 3 HIIT workouts per week. Weight training is already very demanding for your body and is the same kind of anaerobic training as HIIT. Furthermore, since HIIT will also develop hypertrophy, this will only happen if you rest well (as with normal weight training). So if you work out 4 times a week in the gym, 1-2 HIIT workouts should be plenty. Don’t forget to eat more too if you still want to gain muscle! Water is by far the most abundant substance in our body (over 65%!). To put it simple: without water, one would not survive long. Long live water! But why is water good? Read on! Today I'll discuss the importance of carbohydrates. Carbohydrates are the body's main source of energy and therefore are very important. Read on to find out more about carbohydrates. Carbs are the body’s main source of energy. After eating carbohydrates, your pancreas will secrete a hormone called insulin. Insulin stores the carbohydrates in the muscle or as fat. Insulin also stores the amino acids (proteins) and puts them into the muscle cell for recovery and repair. Too much insulin in the body is caused by eating too many carbohydrates. When there is a lot of insulin, it will give a sign to your cells to start the storage of glycogen synthesis. This will eventually lead to larger fat storages. However, the opposite is also true: eating little carbohydrates will lead to smaller insulin concentrations. Your body will have less energy and will therefore start the lipolysis, to gain energy from the degradation of fats. Therefore it is important that we eat the right amount of carbohydrates! There are two kinds of carbs: complex carbohydrates and simple carbohydrates (sugars). Simple carbohydrates will give you immediate energy, while complex carbohydrates give you continuous energy. This is also called a “timed release”. Some good advice: eat mainly complex carbohydrates throughout the day except after the workout, then your body needs simple carbs, because a higher glycogen level will aid faster recuperation and rebuild of the muscle. 1) fibrous carbs: found mainly in brocooli, cauliflower, mushrooms, spinach, lettuce. 2) starchy carbs: found mainly in oatmeal, (sweet) potatoes, peas, corn, pasta, bread.. Simple carbohydrates are found mainly in apples, pineapples, pears, bananas and oranges. So what are all the advantages of HIIT? High intensity interval training has many advantages, but can be very tough. So what are the reason that should keep you going? Read on! Proteins are the building blocks of all kinds of tissue, like muscle tissue. They are necessary in building muscle, without proteins, this would be an impossible mission. It has other functions as well: it ensures that the carbohydrates are “time released”, so you get a constant flow of carbs per day. In our "guide to understand foods" we'll start off with fats.. Hated by most and yet loved by most….because who doesn't like the forbidden fruit? Anyways, here's a great guide to help you understand what kind of fats there are, and what their purpose is. You don’t have to be a rocket scientist to understand how your body uses these macronutrients, we have explained the basics in a way that you can understand too. Knowing how these macronutrients work is a definite must if you wonder “why” eating particular things is bad for your body and also in which food you can find particular macronutrients more. In this first part we will explain the use of fats. High-intensity interval training (HIIT) is a sort of cardio that was primarily intended to improve performance of athletes, by training in short sessions. It is a whole other way of training than low intensity training. In a previous article we discussed chondromalacia patellae. A knee injury, often occuring in teenage girls, sometimes due to sports. Today we’ll go even further and discuss how and why chondromalacia patellae can occur when running. Sometimes chondromalacia patellae can occur because the upper leg muscles (the M. Quadriceps Femoris) is too weak. That’s why you should do exercises that will make the quadriceps muscle more powerful. Because the M. Quadriceps will get stronger, you should also do exercises for the hamstrings (the antagonist). Sometimes the Quadriceps and/or hamstrings can be too tight. If that’s the case, you need to make them longer. The surface where you run can be of importance aswell. The road shouldn’t be higher on the left or right side, as that will make you run like there’s a difference in leg length. Make sure the underground isn’t too hard either! Too much pronating will cause a lot of stress on the knees. If that’s the case, you are probably wearing the wrong kind of running shoes. Running uphill or suddenly raising the distance, puts a lot more stress on the knees too. What are anabolic steroids? What is their function? Why are they used by a lot of athletes, and why shouldn’t they be used? All in this article. Why are split squats, lunges and Bulgarian squats so good? I have written about split squats in the past and have been writing great things about it. But why? What are the advantages of unilateral exercises like split squats, lunges, bulgarian squats, and others? The easiest way to determine your anaerobic threshold, is by listening to your breathing. Just when you’re starting to wheeze, you’re around that threshold. A lot more reliable is the Conconi test. This is a sports medicine test, intended to measure someone’s maximum anaerobic and aerobic threshold heart rates. To measure upper body strength, the chin ups or pull-ups are used a lot (eg. the army). Usually this means you have to do a “repetition effort” without a time limit. This means you have to get as many (correct) repetitions done. Here are some free weight los tips that I’ve written for you overweight girls and boys out there. Most of the hints are very logical, but hey, whoever said losing weight was hard in theory? Chins, chin-ups, pull-ups .. a lot of names for practically the same thing: a great way to show off your strength if you're small. Since you will need to pull up your own bodyweight, even beginners can sometimes get more reps done than an advanced athlete, who carries 120 lbs extra bodyweight. Injuries… everyone hates them: they cause pain, they cause you to stop doing the thing you love, and they will slow down your progress a lot. So how about some hints to prevent these injuries when running, aight?! Yes you might have heard that performing a bench press with the legs up will put the accent more on the pecs. And you believe those rumors because a 40 year old 250 pound bencher has told you that. Am I 40 years old? Nope. Do I bench 250 pounds? Not yet. But I do have things what that 40 year old bencher doesn’t have… good arguments not to put your legs in the air. Yoyo dieting is defined by alternating periods of feast and famine (that the dieter deliberately undertakes). It is a particularly ineffective method of sustaining weight loss. In other words: this sort of diet is also bad for your body. Beginning anything isn’t easy. You probably don’t know much about what you’re doing, what you’re supposed to be doing and whether you’re doing it wrong or right. The deadlift is called the king of all exercises, and with good reason too. There is no other exercise that will put more stress on your central nerve system, and therefore will make you stronger. It is also an extremely compound exercise and will work on the entire posterior chain as well as the back. The deadlift should be part of everyone’s program, from fitnesser, to powerlifter to bodybuilder. When regular cardio gets too boring for you, or when you want to burn some more calories in one cardio workout, then spice up your workouts with more intensity! Tricks below! It is important to acknowledge that every unhealthy diet can have side effects, like acidosis, fatigue, depression…So never overdo it, never take actions too promptly, the body likes it smooth ;). Yesterday we discussed the importance of balance. Today let’s go over some tests to determine whether you have the balancing potential of an Olympic gymnast or a drunk bum. What is balance? It is the ability to stay upright, or controlling your body movement. Balance is very important and used in almost all kinds of sports. Is a high intensity possible in a low impact exercise? Low impact exercise is often used in conjunction with the words gentle, easy or light and is often recommended for people who don’t want a high intensity workout. But what if you want to work hard, but don’t want all the jumping around? Can low impact exercise help you burn calories and lose weight as well as high impact moves? Absolutely. There is loads to say about diet pills. Sadly, usually they aren’t good for a healthy weight loss.. even worse: most of the diet pills are very bad for your body. While in general, one should try not to generalise, now I’d say: don’t do it. Diet pills are unhealthy, they should only be used in life-or-death-scenarios. So step away from the diet pills and put your hands in the air! Squats are very important. They should be the foundation of your workout. In fact, whenever I see a strength program with only a few sets or even no sets of squats at all, I’ll just throw the program away and tell whoever it is who showed it to me, to start reading up on workouts. I will write a post about the why of squats later. But first let’s concentrate on the technique. In the gym I always get a lot of looks from everyone, when I’m doing full squats. Sometimes they even ask me why on earth I would ever do full squats. Why not just quarter squats, like all of they do? Here’s a list of advantages why everyone should do full squats. Why should you do cardiovascular training? Often people talk to me and ask me why I do sports. They ask me if I’m shallow, because I’d do all of this for my looks…. But the truth is that there are waaaaaaaaaay more advantages of doing some cardio, rather than just staying lean and keeping body fat percentages low. EVERYONE should do sports… if you don’t do anything yet, then you’ve gotta sport. Most experts recommend a combination of healthy eating patterns and regular physical exercise for healthy weight loss. Other, non-recommended methods of losing weight include use of prescribed or herbal drugs or chemicals that decrease appetite and/or increase physical activity. All body processes require energy to run properly. When the body is using more energy than it is taking in (e.g. when exercising), body cells rely on internally stored energy sources, like complex carbohydrates and fats, for energy. In the context of physical health, weight loss is the process of losing body weight, usually by losing fat. There are many valuable benefits by losing excess weight such as a higher self-esteem, better health, increased quality of life..
To achieve weight loss, more calories must be expended than taken in. This can be achieved in a few different ways: by reducing the amount of food consumed, increasing physical activity (cardio) or a combination of the two.